From 2020, a new label element will have to appear on the labels of all products classified for health or physical hazards. A 16-character code called the Unique Formula Identifier (UFI) will be mandatory on the labels of such products and importers and downstream users placing these products on the market will have to provide specific product information, including the UFI, to poison centres. 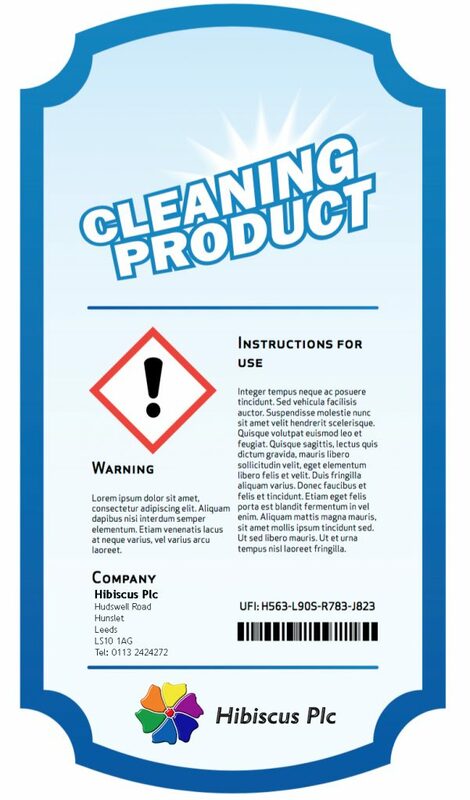 The Unique Formula Identifier (UFI) is a 16-character alphanumeric code that will be required on the label of products that contain a hazardous mixture. In addition to having the UFI on your labels, you will also be required to provide information on your mixture, and associated products, to poison centres. Information will include such details as trade name, composition, colour, packaging, product category and toxicological information. The aim of the UFI is to establish an unambiguous link between the information you provide to the poison centre with the product you place on the market. The condition for assigning a UFI, is that all products labelled and notified with the same UFI need to share the same mixture composition. WHAT IS THE UFI USED FOR? The Unique Formula Identifier, and the other information you provide, will be used by poison centres in the event of an emergency call. The UFI can be read directly from the label of a product to a poison centre operator, in addition to the trade name, to precisely identify the product involved in an incident. This will enable a better and more adequate medical response and a reduction of unnecessary over-treatment, which is often given just to be on the safe side. HOW DO I CREATE A UFI? To create a Unique Formula Identifier for your mixture, you need your company’s VAT number (or ‘company key’, in specific cases) and a mixture-specific formulation number. Entering these two numbers into ECHA’s UFI Generator online tool will provide you with your UFI code. The VAT number is a key element to ensure that your UFI is unique so that no overlap occurs between UFIs generated by different companies. mixtures that follow the required format. It is essential that you do not re-use the same formulation number using the same VAT number when the mixtures have different compositions. You can find the UFI Generator and the user guide on ECHA’s Poison Centres website. If you manage a large product portfolio, you may want to develop your own generator in your company’s IT system for more efficient bulk creation of UFIs. For this, you will need to consult the UFI developer’s manual. WILL THE UFI KEEP YOUR BUSINESS INFORMATION CONFIDENTIAL? The UFI respects the integrity of your confidential business information; it is not possible to decode information on the mixture composition from the UFI. Only poison centres will know which mixture composition corresponds to the UFI provided. In this way, the UFI protects your confidential business information. CAN YOU USE ONE UFI FOR MULTIPLE PRODUCTS OR SEVERAL UFIS FOR ONE PRODUCT? the same country, even if you market them under different trade names. For data management or commercial reasons, you may choose to assign more than one UFI to the same mixture. In this case, each product would have its own UFI, even if it contains the same mixture. Whichever approach you choose, it is essential that you inform the correct UFI to the poison centres in each relevant market area so that emergency health responders can unambiguously identify the product. DOES THE UFI ALWAYS HAVE TO BE INCLUDED ON THE LABEL? The Unique Formula Identifier must be printed on or affixed to the label of all your products containing hazardous mixtures. In cases where products are not labelled – such as with certain products used on industrial sites – the UFI can be indicated in the safety data sheet. WHAT ARE THE UFI CODE SPECIFICATIONS FOR LABELS? The acronym ‘UFI’ (the same in all EU languages and alphabets, and not to be translated) must be in capital letters and be followed by a 16-character alphanumeric code. The code is divided into four blocks, each separated by a hyphen. While no specific requirements have been set, for instance, for font type or size, the UFI has to be clearly visible and legible on the label of the product. Given the variation in label sizes, and other labelling requirements competing for label space, the UFI should be positioned so that it is easy to locate (e.g. near the barcode or hazard pictograms). In essence, you must determine how the UFI must be printed or affixed in the most effective manner to assist with its communication to poison centres. The new requirements will begin in January 2020. 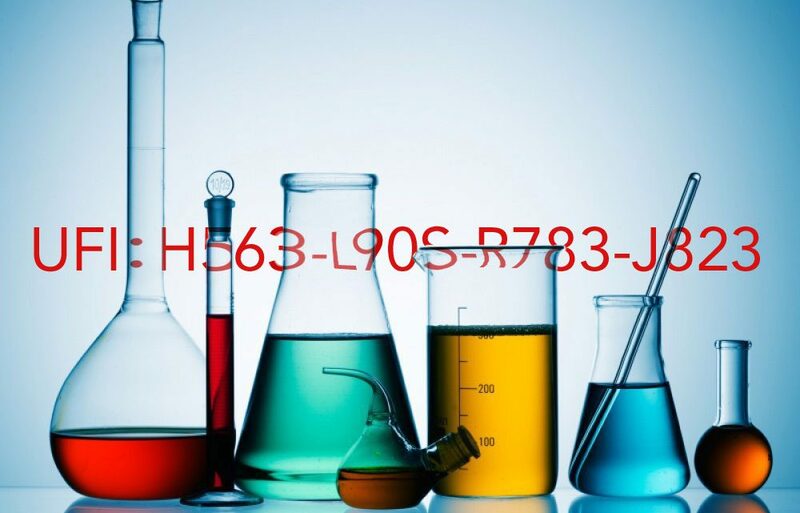 Your company will be obligated to notify the Unique Formula Identifier and other product information by 1 January 2020 for mixtures intended for consumer use. Mixtures intended for professional use will need to be notified by 1 January 2021 and mixtures for industrial use only by 1 January 2024. Importers and downstream users placing hazardous mixtures on the market should start preparing now for the implementation of the new submission procedure and for the use of the UFI on product labels. The UFI GENERATOR TOOL and support to generate the UFI are available on ECHA’s Poison Centres website, along with a UFI DEVELOPERS MANUAL to guide you through this process.